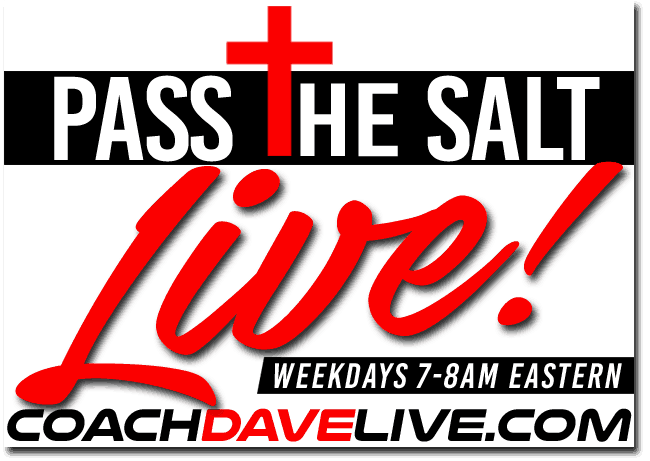 Coach talks about Pass the Salt and the crew going to Washington DC to protest evil. We are going into the den of iniquity to defend Christ and preach the truth. We are going to be hated for it, but it must be done because it is required of us by God. The problem is that the Church isn’t willing to go en masse. Why? What are we afraid of? Why is the Church so afraid of the enemy? They have no power over us. Whether we die or something else, preaching the gospel is our one charge and it must be done.